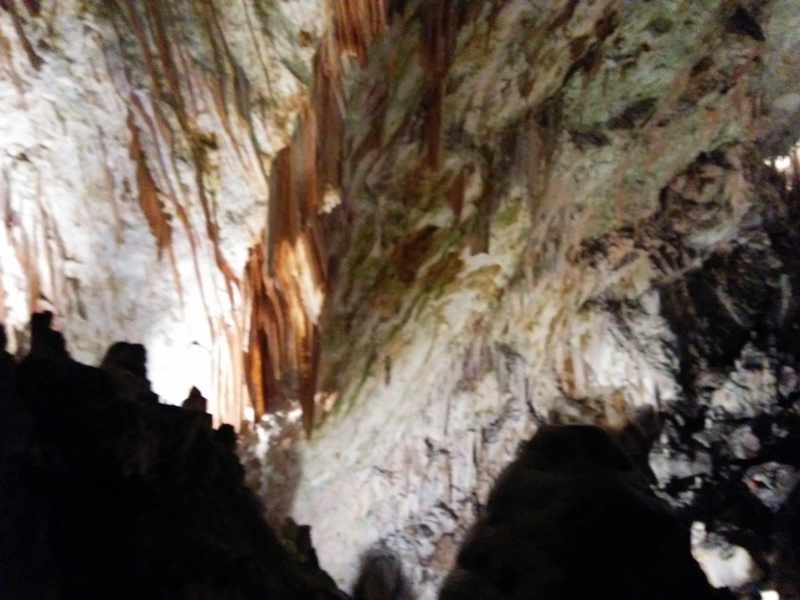 Yesterday we went to Skocjan cave, Slovenia, another world heritage site. It is a huge cavern, well over 100 meters high in places, very majestic. It has the river running through the bottom of the gorge. They take themselves very seriously and there is no photography allowed inside the cave. 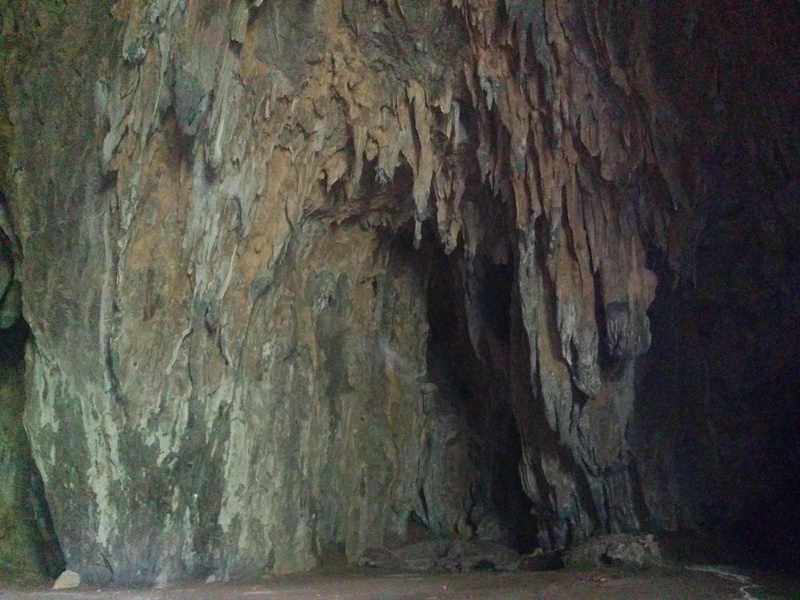 This picture was taken looking at the mouth of the cave from outside. 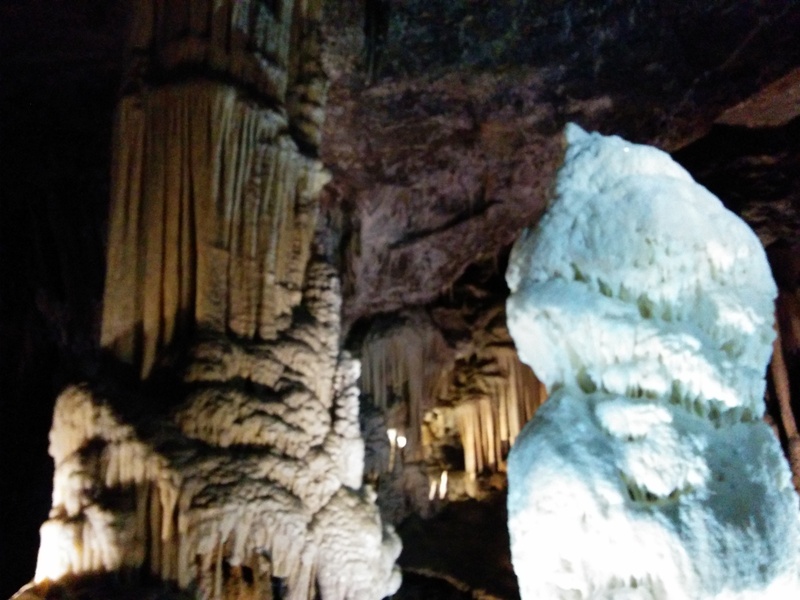 Today I went to a whole different kind of cave experience, Postojna Jama (cave). 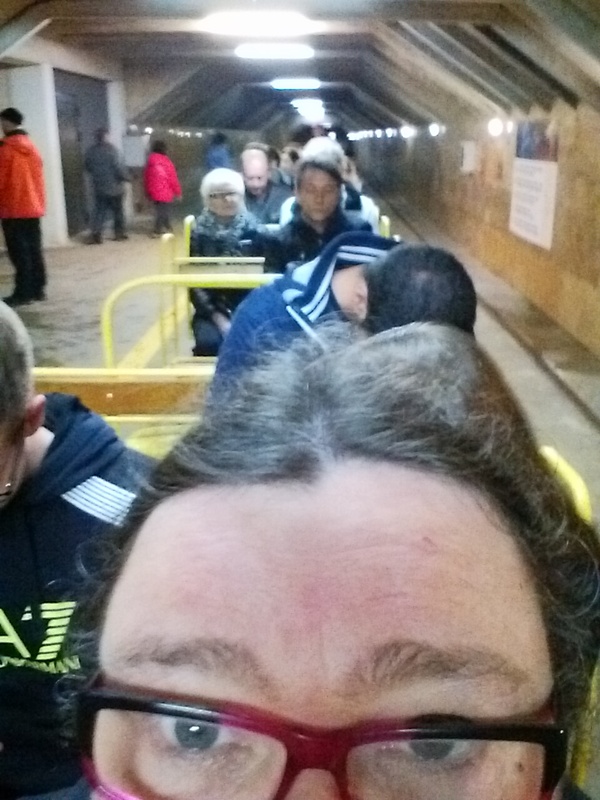 It has a train running through the first two kilometers, then a 1.7 km walk, and back on the train. It has pretty over the top decoration and if you didn’t know it was real, you wouldn’t believe it. 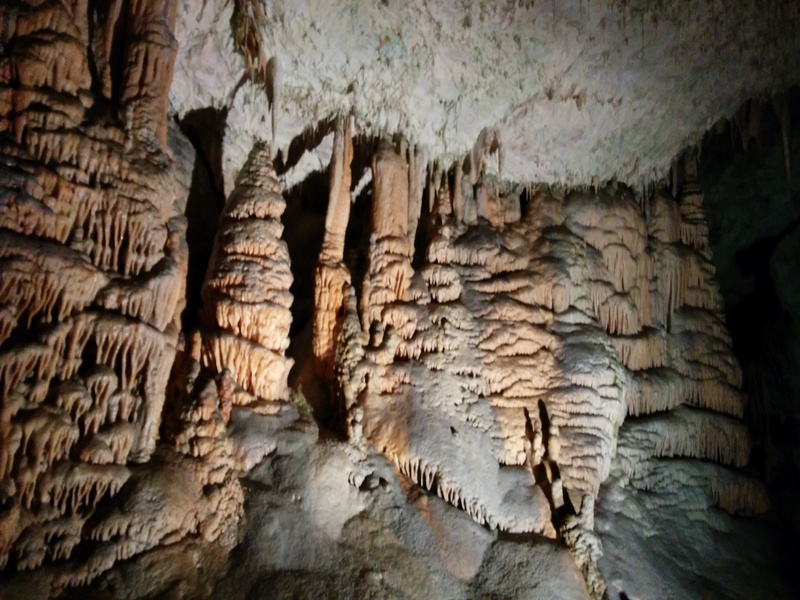 Everywhere you look are stalactites, stalagmites, pillars and curtains. I have been to a lot of caves in a lot of places and this ine was right up there. 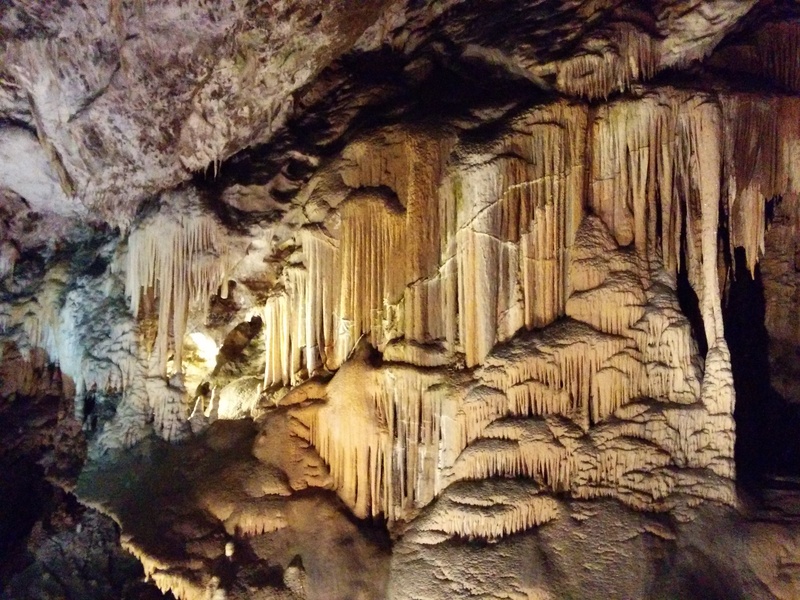 This entry was posted in travel and tagged Postojna cave, Skocjan cave, Slovenia on April 23, 2016 by gillianknitter. Yep, 12°in the first and 10° in the second!